November 30, 2018 By Goodall Staff - s.h. They do say it’s the most wonderful time of the year, right? This holiday season may find you facing a similar dilemma as millions of people worldwide wonder what the heck should I buy ‘him’ or ‘her’ for the holiday? Not to fear! We have you covered. There are certain spa accessories that are an absolute must-have if you want to get the most out of your relaxation. Wouldn’t it be wonderful if you could provide that for the special spa owner in your family? In this article, we take a look at the top 10 spa accessories you should make a point to look out for. I know what you are thinking: what is so special about this? Well unless you want to potentially spend thousands of dollars on spa maintenance during the colder months of the year, a spa cover is an absolute must-have. There are many options available. Take note of the weather that your area typically features and buy accordingly. An absolute requirement for any spa owner! Spa pillows feature all of the same options that your typical ‘throw pillow’ aisle in the store does. Match your style to your pillow. Put your head back, grab a drink, and relax this holiday season. Add an extra level to your quest for ultimate relaxation with custom spa fragrances. Appeal to all five senses during any time of the year with these wonderful aromas. This provides an inexpensive way to suit the fancy of that special someone. This may not be the ultimate gift of all, but that spa owner that you love will have a back that is thanking you! These make the chore of covering and uncovering the spa a much easier job. They will also be one of the easiest spa maintenance chores that will ever be done. Imagine the music turned down low, a sweet smell in the air, and the relaxing calmness that warm water all over the body brings. Now, add some candles to set the ambiance. Is this not an incredible picture? Lighting is one of the most popular accessories on the market today. Choose from dozens of colors with many different options for customization within. This allows any spa owner to put a custom touch to their spa, as well as add that ‘wow’ factor for friends and company. Yet another option that has many choices. We all like to enjoy a beverage while we are relaxing in our spa. Instead of having to break the comfort to fetch a drink every few minutes, bring the drink to your fingertips. Floating bars can be as simple or extravagant as you desire! This is the perfect gift with the family in mind. There are dozens of ‘floating games’ that can be purchased. Bring a piece of Las Vegas to any spa in the world with these floating pieces of entertainment. Another option is to bring the drink to the spa. There are many styles and choices when it comes to picking a cup holder. Most attach in a way that is simple and easy to access. Add a personal touch to the style of your relaxation. Nothing brings a ‘wow’ factor to a spa like adding in some gorgeous spa steps. Out of all the spa accessories on the market, nothing can change the overall look of your spa like these can. Whatever spa accessories you decide to buy for that special someone, be sure to keep their personal style in mind. 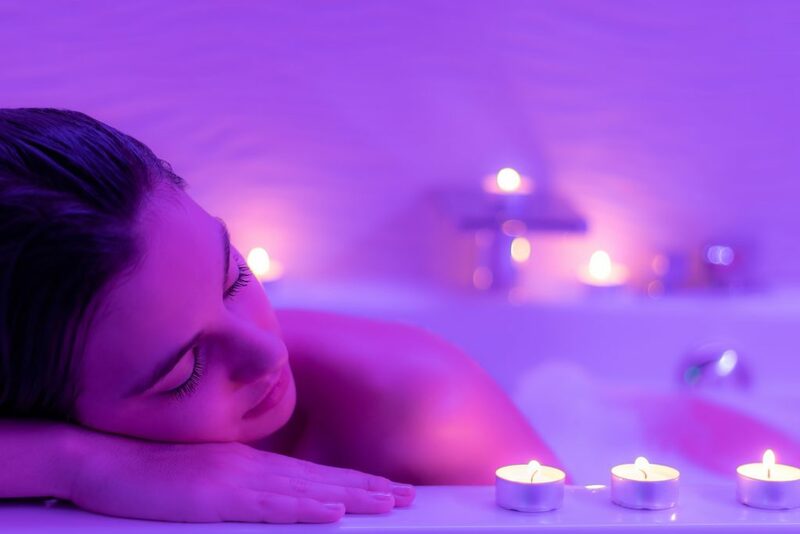 Spa accessories provide a unique opportunity to customize a relaxing area for you or your loved one. Visit any of our five fully-stocked showrooms in Camp Hill, Carlisle, Harrisburg, Lancaster, and Lebanon to learn more about our brands and products.